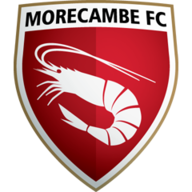 Dave Artell earned Morecambe a 2-2 draw in a thrilling North West derby against Macclesfield. Artell headed home Laurence Wilson's right wing corner with 10 minutes remaining to earn the Shrimps their second home draw of the new season. Sammy McIlroy's side then had chances to win the game with Wilson and Ian Craney both firing efforts just off target but it was Macclesfield who were denied a late victory when Ben Wright scored three minutes into injury time only to see the effort ruled out for a foul earlier in the move. 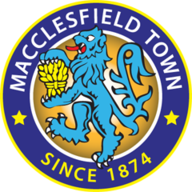 Macclesfield took the lead with an 11th minute penalty from Matthew Tipton after home goalkeeper Barry Roche had hacked down Colin Daniel. Morecambe striker Michael Twiss brought his side level on 48 minutes with a delightful curler past Jon Brain. And the home side then looked set to take the game as they laid siege to the visitors' goal with Wilson's cross forcing Brain into a scrambling save at his near post. Ross Draper's first Football League goal just before the hour put the Silkmen back ahead but their hopes of victory were dashed by Artell's late equaliser.